Christina was an active and enthusiastic participant and supporter of Bike & Build, working to raise money and awareness for affordable housing. This fund will work with established affordable housing organizations in order to provide support for both building homes and educating communities about the affordable housing crisis in the country. 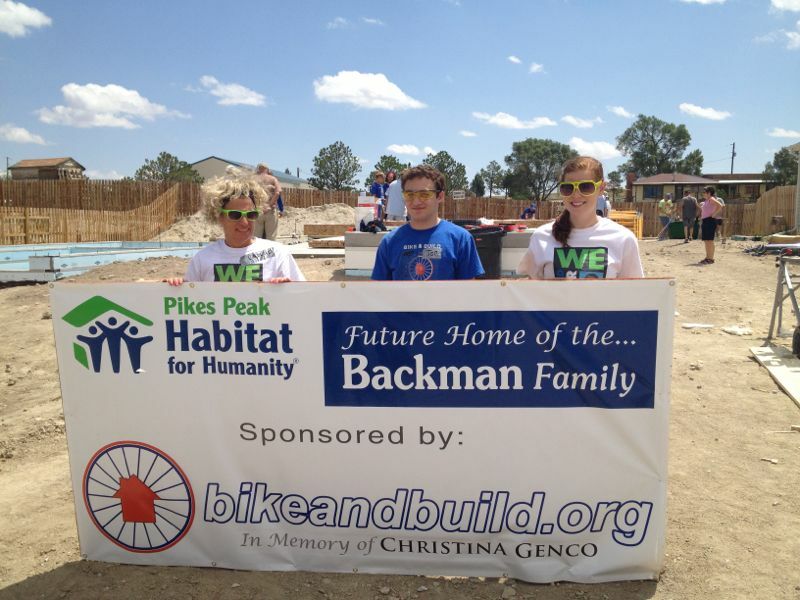 In partnership with Bike & Build, $10,000 of funds raised from the 2012 Christina Clarke Genco Mother’s Day Memorial Ride were donated to Bike & Build in support of the house built by the 2012 South Carolina to Santa Cruz (SC2SC) route at Pikes Peak Habitat for Humanity in early July 2012. Christina was a leader on the SC2SC route in 2011 when she passed away. Read more about the CCG Foundation Board of Directors participation at the 2012 build site!